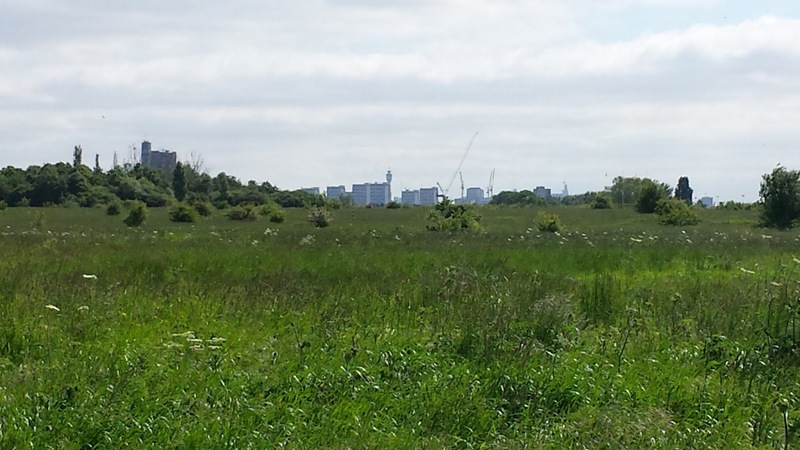 By reading wikipedia I found out that 'In 1908, the route for the Olympic Marathon went across the Scrubs on the final stages of the race from Windsor Castle to the Olympic Stadium at White City.' Quite fitting that there is now a parkrun here. 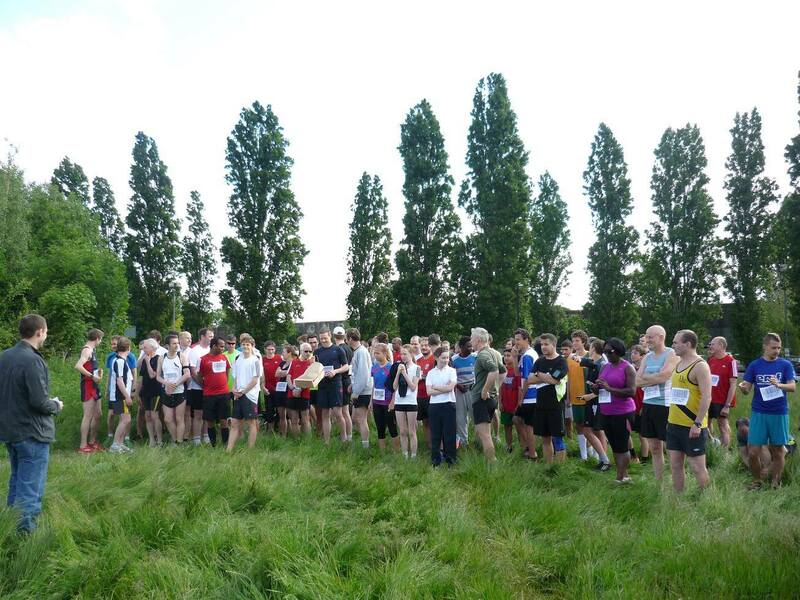 I also found out that the Scrubs was recognised as the duelling ground of London - Even though parkrun is a run and definitely not a race, I'm sure the venue has seen its fair share of parkrun duels over the years. I arrived at the Scrubs bright and early (way too early, in fact) to join the friendly and very welcoming residents of W12 for their second birthday celebrations. Also present were the Roundshaw on tour gang, a fellow blogger and juneathon-er, and I met Banstead runner and uber-tourist Johnathan Pegg (currently on 61 different venues). 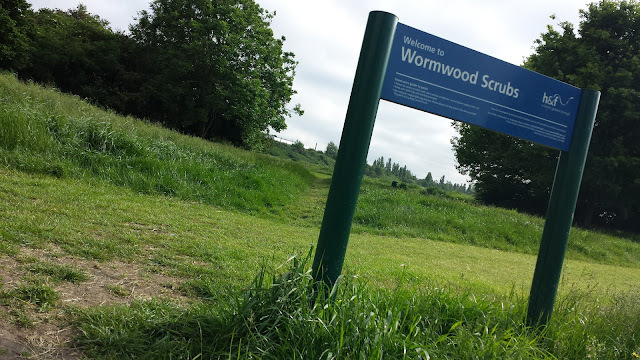 The run starts in the shadow of 'HM Prison Wormwood Scrubs' which is a category B prison - defined as 'Those who do not require maximum security, but for whom escape needs to be made very difficult'. If the prisoners have access to the windows, I'm sure they look on with envy every parkrunday. The first thing to do was find somewhere to lock up the bike. 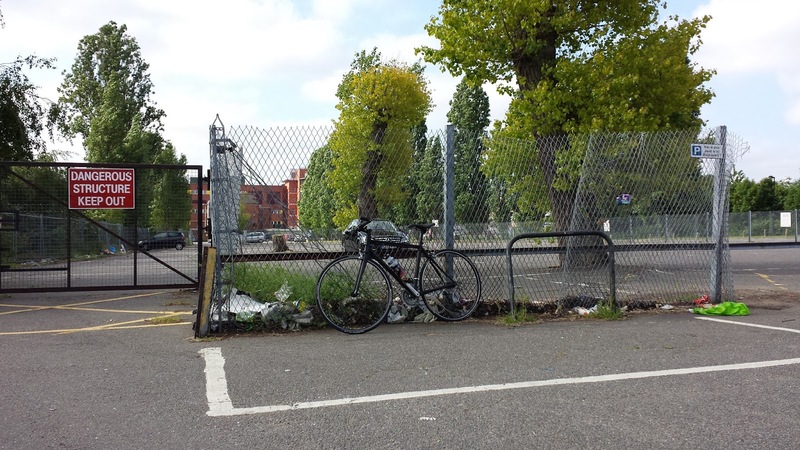 As far as actual bike racks go, there are some way over the other side of the Scrubs near the entrance to the Wormwood Scrubs Pony Centre, and one single rack in the car park that was located within a car parking space. The best options seem to be to find a post or pole nearby or to leave the bike, as I did, on the grass next to the finish line. There is also a children's playground with a nice fence, it's not too far from the start/finish areas but it's not within view of the parkrun. If I had chosen to travel by car, I could have parked in the car park adjacent to the start area. Those wishing to travel by tube train will find East Acton station is very conveniently located for the run - just remember to check Transport for London's website in advance to make sure they aren't closing the line for engineering works. However there are underground stations in every direction so you do have quite a good selection of options if the Central Line is recieving some tlc. If traveling by mainline train, you have a choice of Willesden Junction or Acton Main Line Station. The Linford Christie Athletics track is just a stone's throw away and is where you'll find the toilets and the Thames Valley Harriers clubhouse - which also doubles up as the venue for the post-run social gathering, where I had the opportunity to try one of their famous flapjacks. 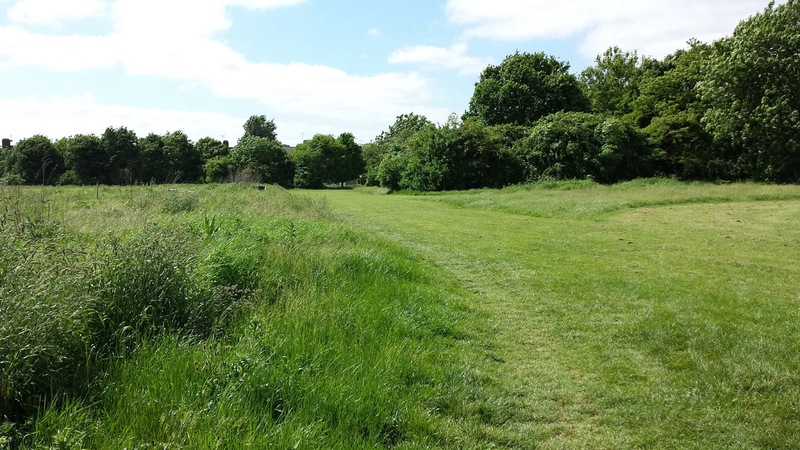 The park is effectively divided into two halves - the eastern half is mostly given over to sports pitches, and the west side is the scrub-land (An area of land that is uncultivated and covered with sparse stunted vegetation). 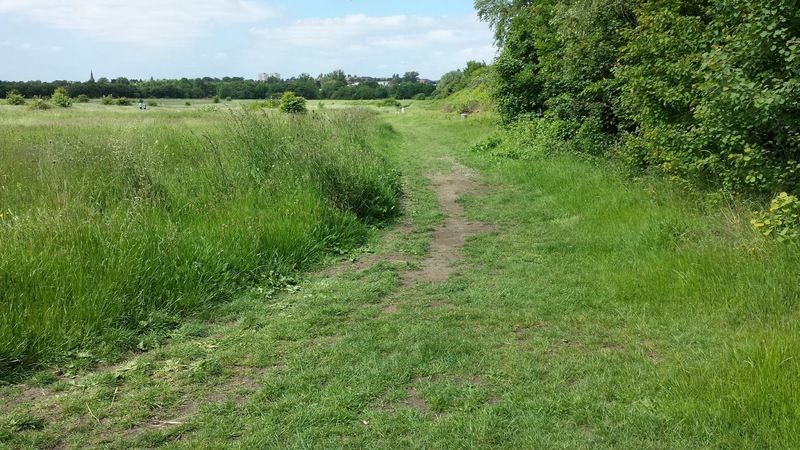 The course is two laps around the scrub-land half of the park, and is run on grass and dirt paths. It also undulates ever so slightly in places. En-route you will pass a model aircraft flying zone and if you look up you might catch a glimpse of the BT tower and the Shard far away in the distance. I'm also told that you can see the arch of Wembley Stadium, but I was so focused I didn't see any of these until I went back around the course post-run to take some photos. The scrubs half of the park is subject to a by-law which allows the military to restrict public access if required. I don't know if this has ever affected the run but it might be worth checking their news, twitter, and/or facebook page beforehand just in case. 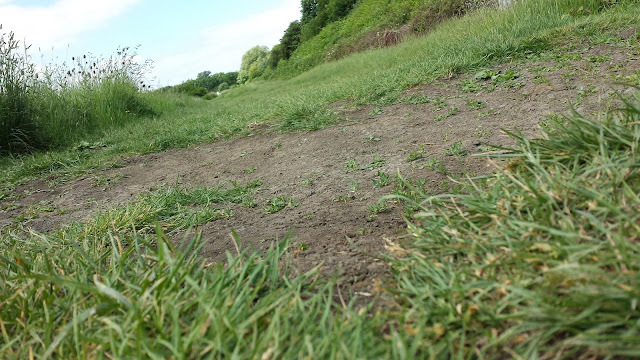 If you have ever run at Riddlesdown parkrun you will surely notice the similarities of some sections of the two courses, and just like Riddlesdown, this course looks like it will be a huge amount of fun to run when it is muddy! Another similarity between the two courses is the presence of nesting birds in the long grass areas that both courses weave their way around. I was glad to be part of a new attendance record for the event, beating their previous largest attendance by 17 runners. 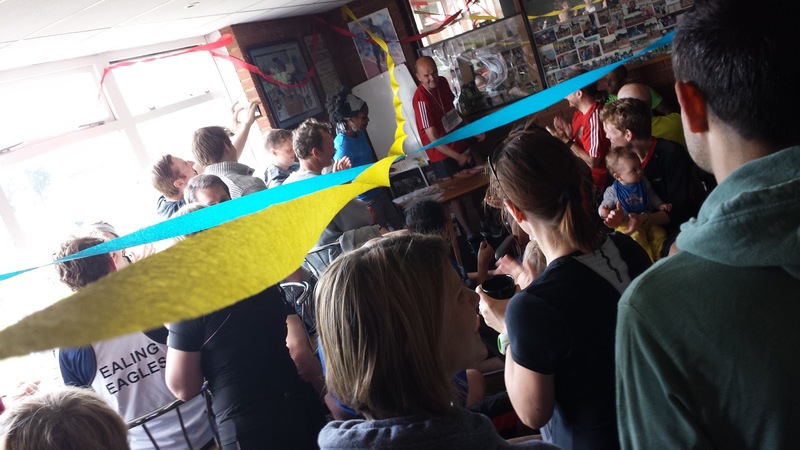 It was also nice to watch the end-of-year prizes being given out in the clubhouse afterwards - the community at this parkrun is clearly very strong. If you're a parkrun tourist and thinking of visiting, definitely pop in to the clubhouse for a post-run flapjack and if you are local runner of any level get yourself down there every week and become part of this wonderful community! I almost forgot to mention that the course is buggy friendly. Although it may be tough in muddy conditions. 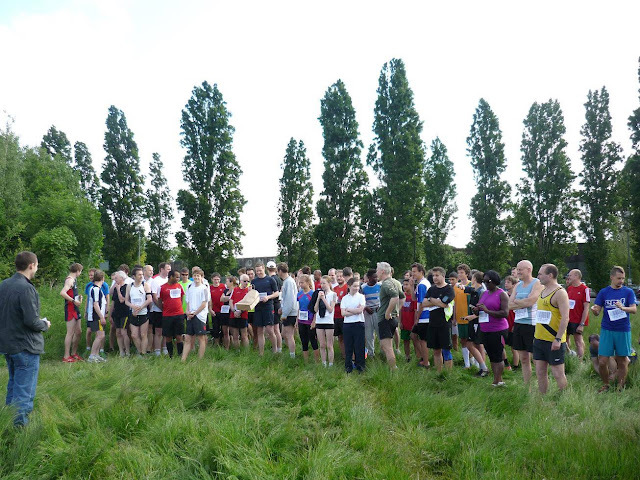 Note: I borrowed the photo of the runners at the start line from the Wormwood Scrubs facebook page. The others were taken by me.